This is one of those posts I really didn’t want to write. Unlike my past two projects in this series, this one was a bit of a flop. It also took a lot longer to make then the other two, so I had built up pretty high expectations for it. And it all seemed to be going okay up until the very end – when I actually tried it on. It’s usable…kind of. But not really. There is a lot wrong with it, and even several weeks after finishing it I’m still disappointed. It’s not something I want to think too much about – much less write about. But I think sharing failures is just as important as sharing successes – sometimes the projects that end in disaster are the ones you learn the most from. I suppose that was the case here, but it’s still upsetting! With that cheery intro, here is the third installment of my Stay Study series! The first two posts can both be found here. 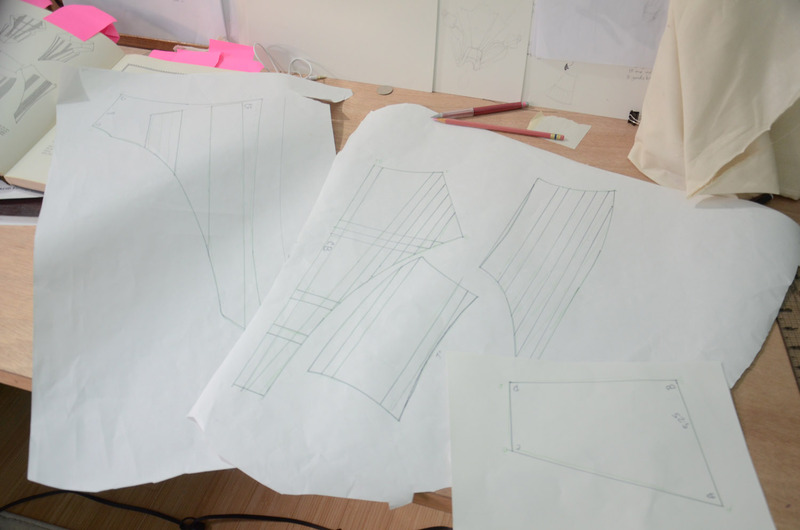 Step one was drawing out the pattern. Once that was done I made a mock up. 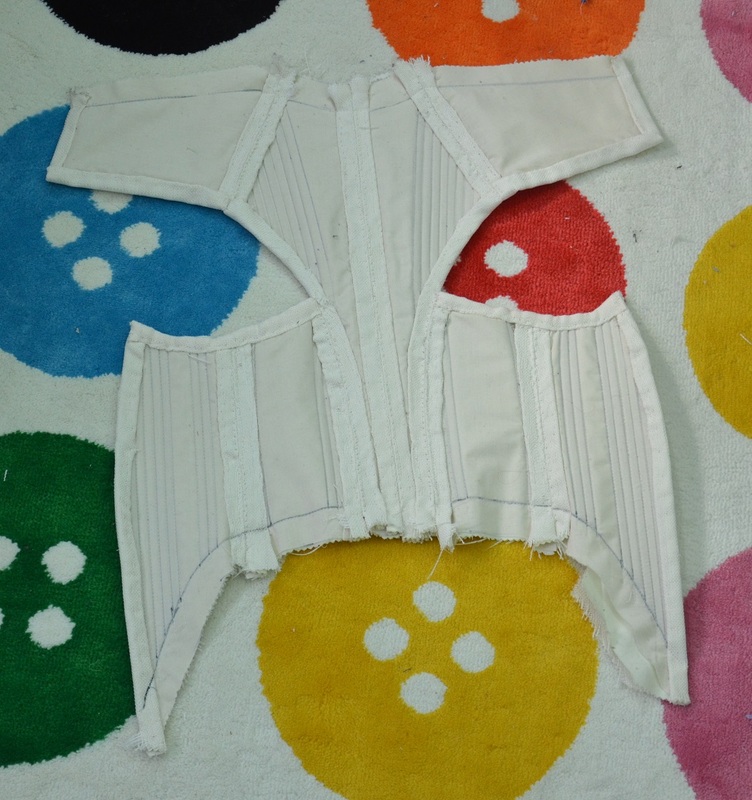 There were a few things that had to be changed – the fabric was gaping near the arm/bust and the waistline was too long. Both of these were easy fixes, so after making the changes I did not make another mock up. I also lowered the neckline and made the V at the front smaller. 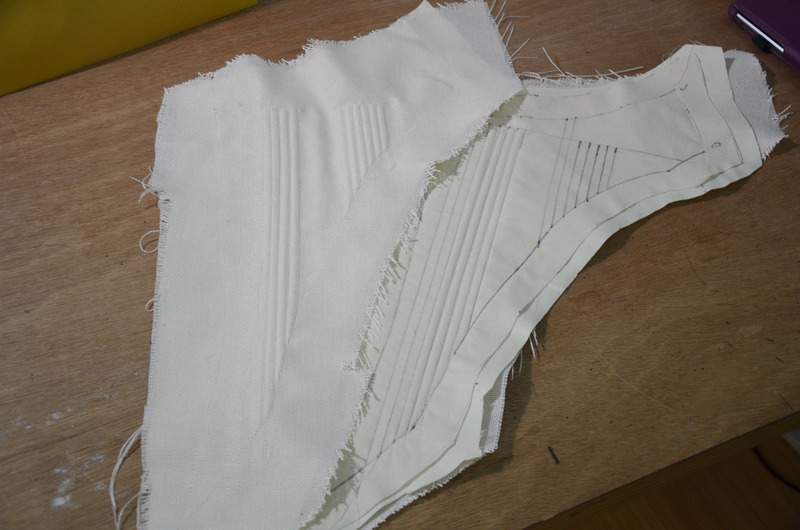 Then I cut out my pattern from two layers of medium weight polyester linen and a layer of muslin. 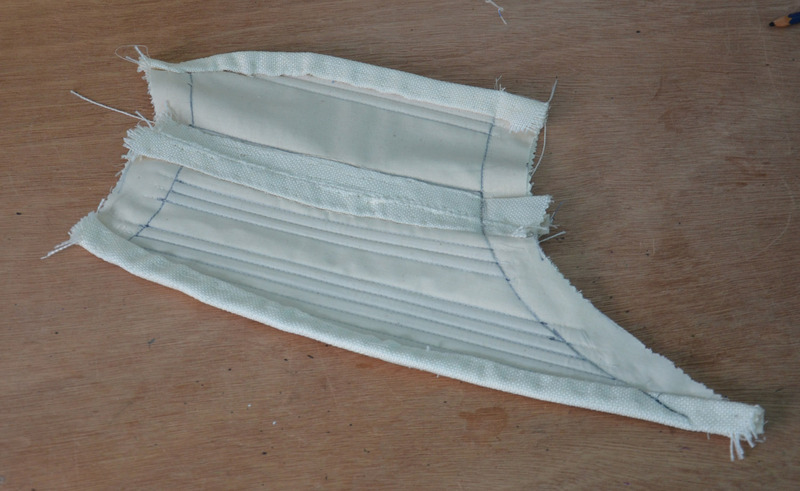 I marked all the boning channels on the muslin with pen, so I had a very prominent guide to sew over. Mistake number two was using this crappy fake linen. It frayed so much I left the edges long until all the channels were sewn, then I trimmed them with pinking sheers – which did nothing to stop the fraying. 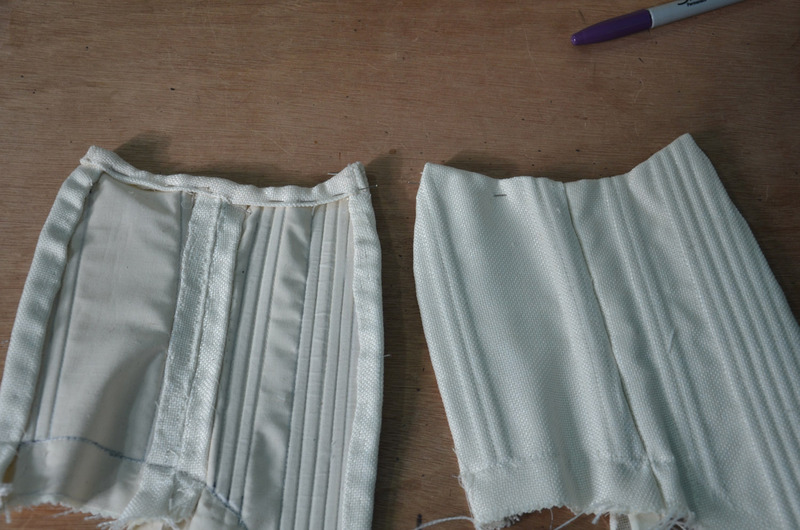 I added all the boning and filed the tips so they wouldn’t poke through the fabric. Then I rolled the edges and slip stitched them in place. 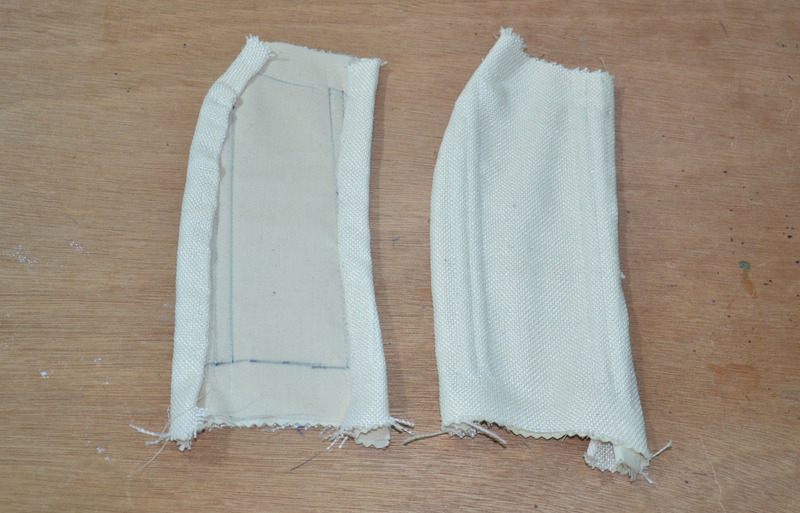 The pieces were bound together with my super heavy duty upholstery thread. This is the front panel with most of the boning added. I starched this panel five times to stiffen it enough so I could embroider the eyelets without it becoming a frayed mess. It didn’t really work. 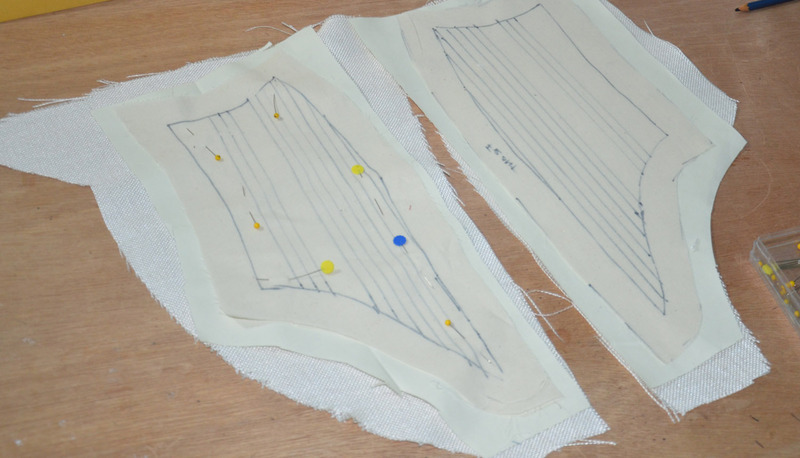 To reinforce it further I stitched a half dozen straight lines across where the eyelets would be sewn with hopes that would help – luckily it did. I bound the edges – I definitely got much better at this the more I did it! The back pieces and shoulder straps bound together. To finish the tops of the side pieces I made a bit of home made bias tape and sewed that on. Then they were bound to the back panel. I spent two whole seasons of top gear sewing eyelets – that’s at least twelve hours. It was kind of insane and not much fun at all. I even took pictures of how shredded my fingers were after sewing the sixty eyelets in two sittings – but they were a bit gory so i’ll spare you all. Once that was done the front panels were bound to everything else. To make it even better I then realized I had messed up the spiral lacing. 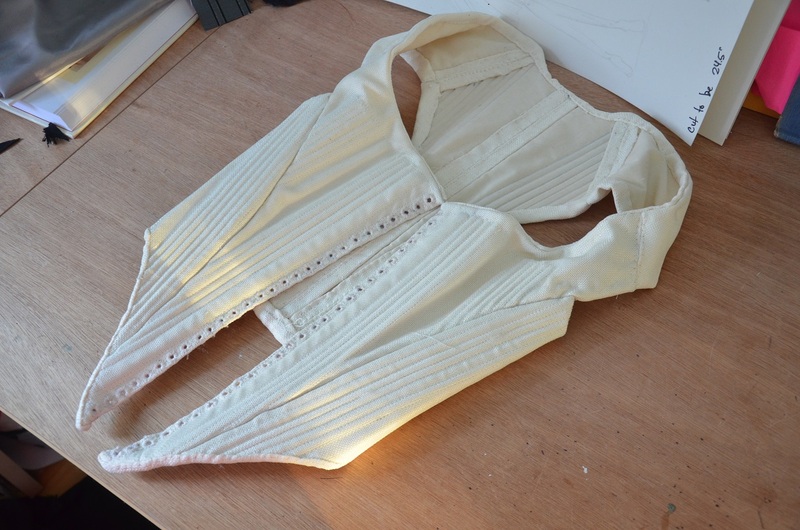 To properly have spiral lacing the top two and bottom two eyelets have to be staggered – I had misunderstood and instead added on extra eyelet to the left side, meaning the garment could not lace up correctly or evenly. I decided to power through and finish anyway. I made more bias tape to finish off the top and bottom edges. Upon trying it on I realized the most major mistake – it didn’t fit. I took these pictures without a chemise so you could see the problem – it digs in a lot at my hips because it’s too long in the waist. 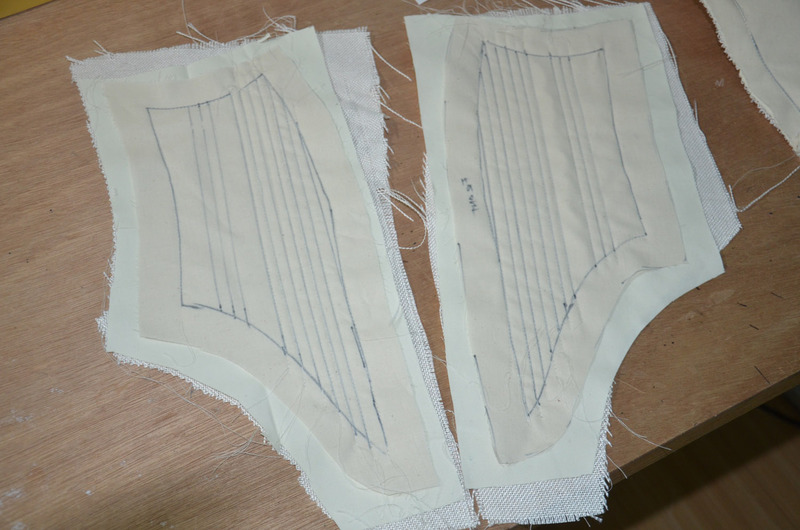 Even though the boning is properly filed and finished, It’s a lot of pressure being rested on the hips, and makes it very uncomfortable to wear. After wearing it for less then fifteen minutes I have red marks across where it rests and I think after several hours of wear those would bruise. 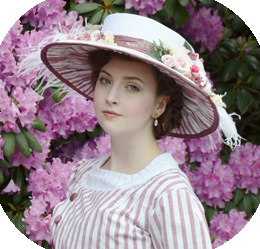 The garment I planned on wearing this under requires a petticoat and false rump. 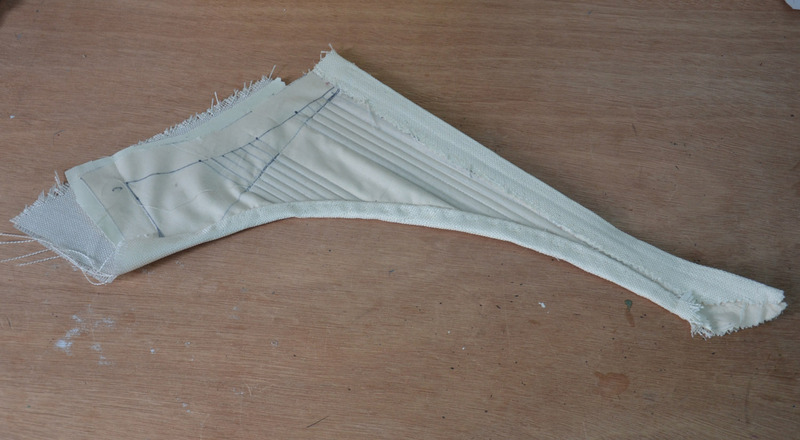 Perhaps if I wore the stays over the petticoat (so taboo) that would soften the edges enough for it to be comfortable? The edges also do not line up, and the front doesn’t extend down far enough to be accurate to the 17th century time period. Overall i’m really upset! So much time wasted on a garment that can’t really be worn. Maybe I should try remaking this garment in a month or two and see if I can do better? Despite all the frustrations I did learn a lot. The most prominent thing being : ALWAYS MAKE ANOTHER MOCK UP. Hi, I feel your pain. Literally. I have two thoughts. One, you shouldn’t ever have to use fake linen, even to save money. Most thrift stores will have linen tablecloths, pillow cases and sometimes even sheets for super cheap. The second part is that I made mine without tabs on the bottom because I didn’t like the look of them and then figured out what they are for. To keep the stupid thing from digging into you. So next time, I’m making mine with tabs. See you at Goodwill! It wasn’t an attempt to save money, the site I was purchasing fabric from didn’t have any linen aside from the polyester type – I figured it was good enough, I didn’t expect it to be so different, and I didn’t realize how bad it was until the pieces were already cut. I kind of live in the middle of nowhere – buying linen by the yard would be cheaper then the gas money to get me to the nearest goodwill, heh! That really stinks. My next two projects have tabs, but this stay pattern didn’t require them. I think if it fit properly it wouldn’t be an issue at all, but tabs would probably help too. Good luck with remaking them! It’s not time wasted if you learned something from it 🙂 Also, I have to say that the fit on the shoulder part looks lovely. It looks like it fits perfectly there. Always enjoy your posts! 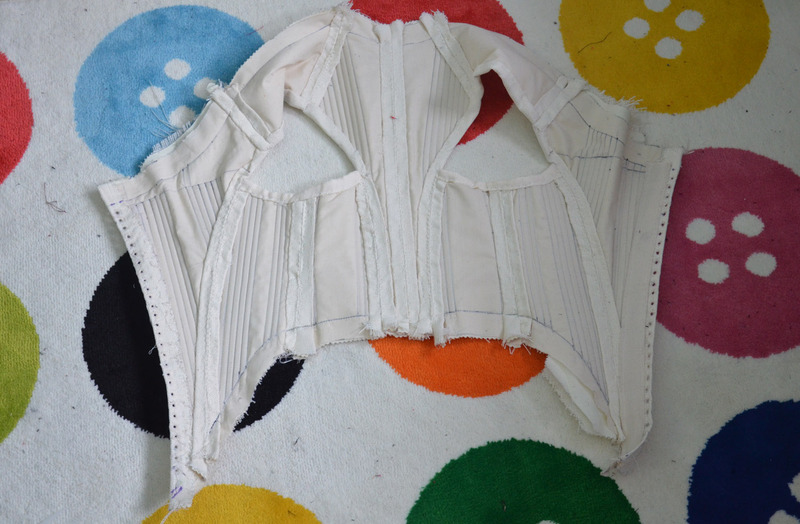 I don’t really know much about making corsets but if the fit problem is about comfort rather than size- how hard would it be the replace the boning? A couple years ago, I heard of a theater secret of using plastic twist ties instead of boning. It won’t hold up for many years but it’d be a lot more comfortable. If it is too small, is it impossible to open up one of the sections without boning and add an extra panel? I’m sorry that things didn’t work out. I’ve had my own self-patterning flops. Btw, do you have a dress form? 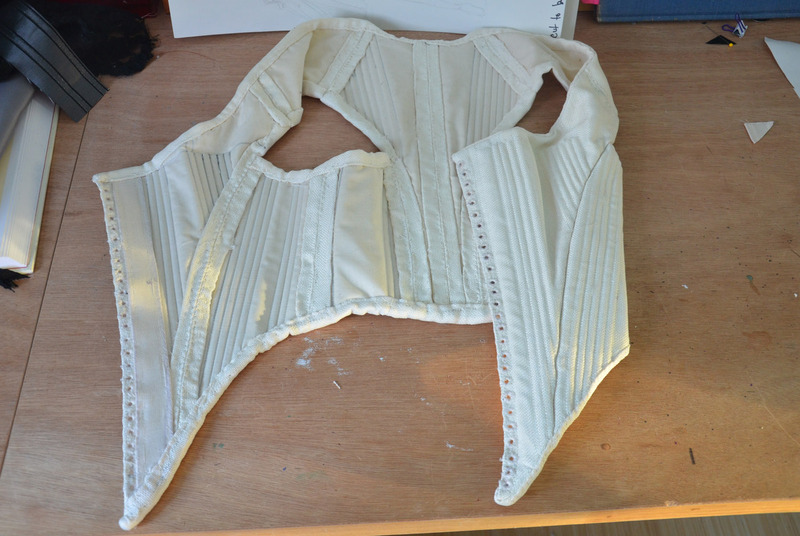 I don’t think it would’ve helped with the corset but mine has helped me a lot with figuring out alignments & stuff. Would it be possible to undo the bottom seams and cut the boning shorter so it doesn’t dig in as much? I can totally understand not wanting to spend more time on a project that didn’t turn out right, but it may be salvageable.